Past studies have suggested that offenders desist from crime due to a range of factors, such as familial pressures, faith based interventions or financial incentives. To date, little has been written about the relationship between desistance and racialisation. This book seeks to bring much needed attention to this under-researched area of criminological inquiry. Martin Glynn builds on recent empirical research in the UK and the USA and uses Critical Race Theory as a framework for developing a fresh perspective about black men's desistance. This book posits that the voices and collective narrative of black men offers a unique opportunity to refine current understandings of desistance. It also demonstrates how new insights can be gained by studying the ways in which elements of the desistance trajectory are racialised. This book will be of interest both to criminologists and sociologists engaged with race, racialisation, ethnicity, and criminal justice. Shadd Maruna, Director of Institute of Criminology & Criminal Justice, Queen's University Belfast, Northern Ireland, UK. Fergus McNeill, Professor of Criminology & Social Work, University of Glasgow, Scotland, UK. 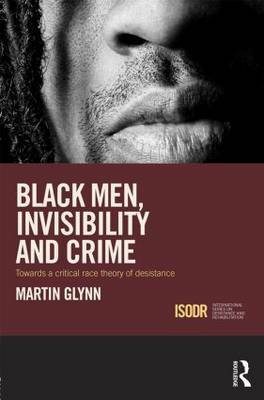 `In the book Black Men, Invisibility and Crime, Martin Glynn has produced an innovative and crucially important monograph that provides keen insights into desistance among Black men. Shaun Gabbidon, Professor of Criminal Justice, Penn State Harrisburg, USA. "This book provides a much needed and surprisingly overdue in depth analysis of black men's views of their own desistance. The author is extremely credible and gathers insights that numerous criminologists would be unable to gather through ethnography or any other means. It is clearly aimed at promoting further research and provides a compelling argument for other criminologists to take forward."